The biggest dam on the longest river in the world ( The Nile River ), the dam was built at 1961. It would be the biggest obelisk in the world, but it is unfinished, so when you go there you will know why it is unfinished. 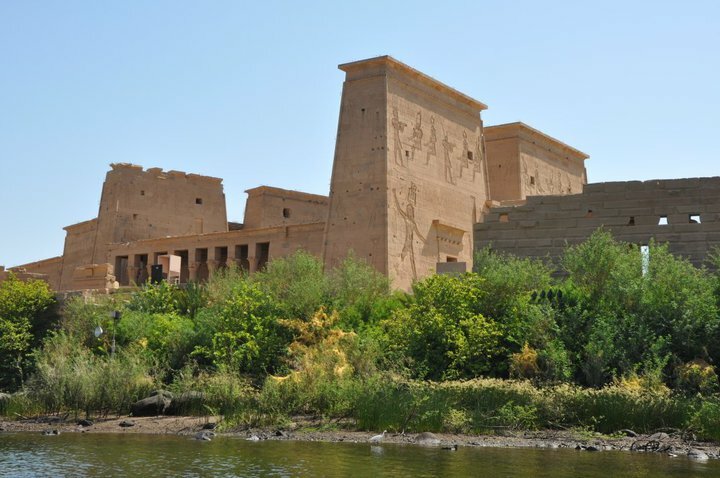 The famous temple of the Goddess Isis ( The magic & love goddess ), it is located on an island, so you will take a motor boat to ge there and enjoy the visit. After the tour the tour guide will take you back to the hotel or the Nile cruise. 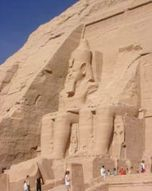 Egypt Unlimited Tours representative will pick you up from your hotel in Aswan to enjoy a visit to Abu Simbel by a private air-conditioned vehicle. The two Temples of Abu Simbel , with their unique style, are considered to be the masterpieces of ancient Egypt. The Temple of Ramsses II was dedicated to the four universal gods Ptah, Re-Her-Akhtey, Amun-Re, and to Ramsses II himself. The great Abu Simbel temple is also called The Sun Temple of Ramssess II.The Temple of Queen Nefertari is also Called Temple of Hathor who was the wife of the Sun God so in a symbolic way, the two Temples, that of Ramsses II and that of Nefertari, bring Ramesses II, Nefertari, Hathor and the Sun God together as one. then you will head back Aswan to go back to your hotel. 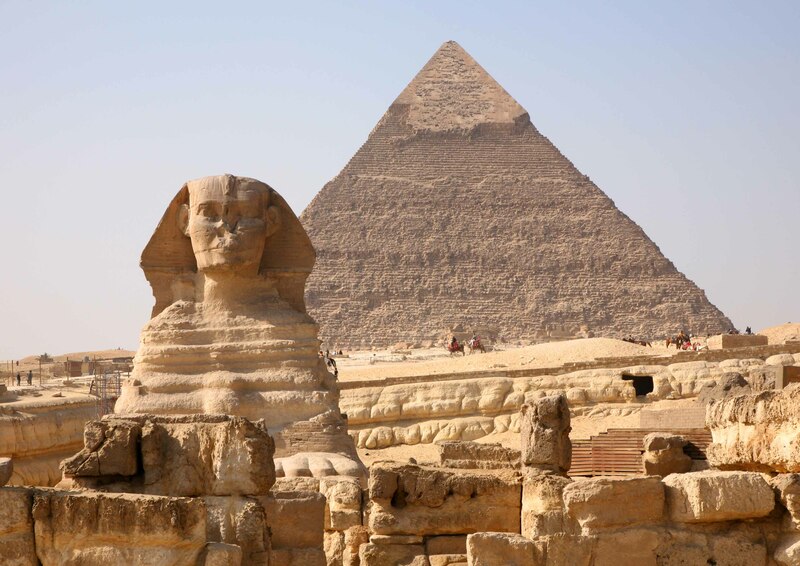 Egypt Unlimited Tours Representative will pick you up from your hotel in Aswan to fly to Abu Simble which its main attraction being the great sun temple of RamsesII and the temple of queen Nefertari . 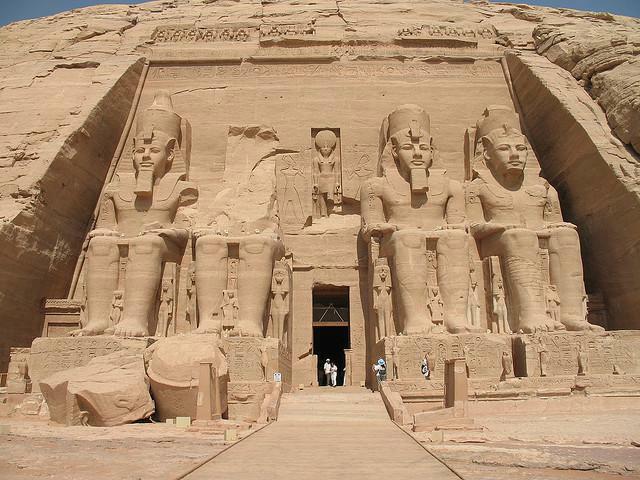 The two Temples of Abu Simbel , with their unique style, are considered to be the masterpieces of ancient Egypt. The Temple of Ramsses II was dedicated to the four universal gods Ptah, Re-Her-Akhtey, Amun-Re, and to Ramsses II himself. The great Abu Simbel temple is also called The Sun Temple of Ramssess II.The Temple of Queen Nefertari is also Called Temple of Hathor who was the wife of the Sun God so in a symbolic way, the two Temples, that of Ramsses II and that of Nefertari, bring Ramesses II, Nefertari, Hathor and the Sun God together as one. After finishing the visit you will fly back to Aswan and then you will be driven back to your hotel. standing on high grounds overlooking the Nile. It differs from other temples because of its double entrance, each one is dedicated to divinity: "Haroeris" with his falcon head and " Sobek " with his crocodile head. The Temple of Kom Ombo was built on the honor of two deities the crocodile-headed Sobek, god of fertility and creator of the world, and Haroeris or the ancient falcon-headed Horus. Also, Kom Ombo's importance lies in its huge sugar-cane. visit the majestic temple dedicated to Horus which is considered by most to be the best preserved cult temple in Egypt. According to the Egyptian myths, it was the place where the falcon-headed god Horus revenged the murder of his father Osiris by killing Seth. Lunch box included.Then drive back to Aswan. Our tour guide will pick you up from your hotel or Nile cruise in Aswan, to sail on the Nile by a motorboat to the Nubian Village that is located on West Bank of the River Nile in Aswan and just opposite to Soheil Island and near the Aswan Dam passing by the First Cataract of Aswan, this fantastic tour to the Nubian Village lets you meet and impact with a Nubian family and to learn about their simple life style, culture and traditions and then you be transferred back to your hotel or Nile cruise in Aswan. which was opened in 1997. This museum displays thousands of antiquities that would have been lost under the waters of Lake Nasser. This museum takes its name from the ancient Egyptian Nbu, meaning gold, in reference to the area's famous gold mines Moreover; you will enjoy scenes of Nubian life demonstrated with a range of life-size displays. which has been dismantled and re-erected on a hill near the High Dam site (Western Bank). This temple was originally built by Toutmosis II and Amenophis II at Kalabsha, 40 miles south of Aswan, and was restored during the Roman conquest, and then end the tour by the long- awaited then you be transferred back to your hotel or Nile cruise in Aswan.